In late August we did a 7-day loop trek in and around the Needle Mountains, the rugged heart of the Weminuche Wilderness in the San Juan Mountains of Colorado. 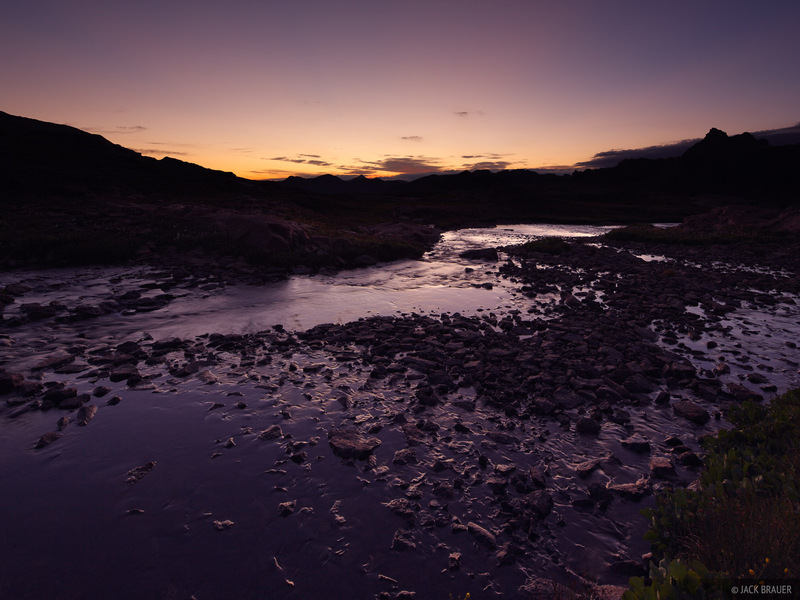 This was the fourth time I've done a week-long backpack trip in these mountains, and as usual we had some crazy weather during our trip, including lots of lightning, thunder, and several stunning sunrises and sunsets. 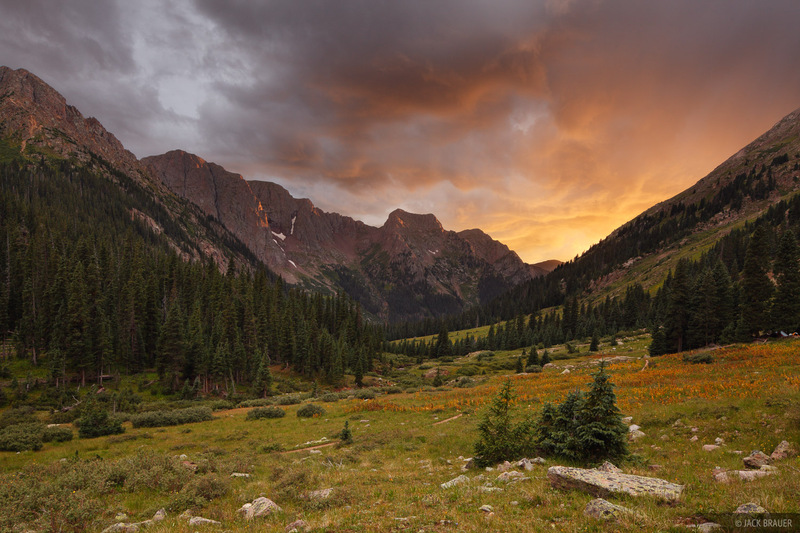 A brilliant sunset above Animas Mountain deep in the Weminuche Wilderness. 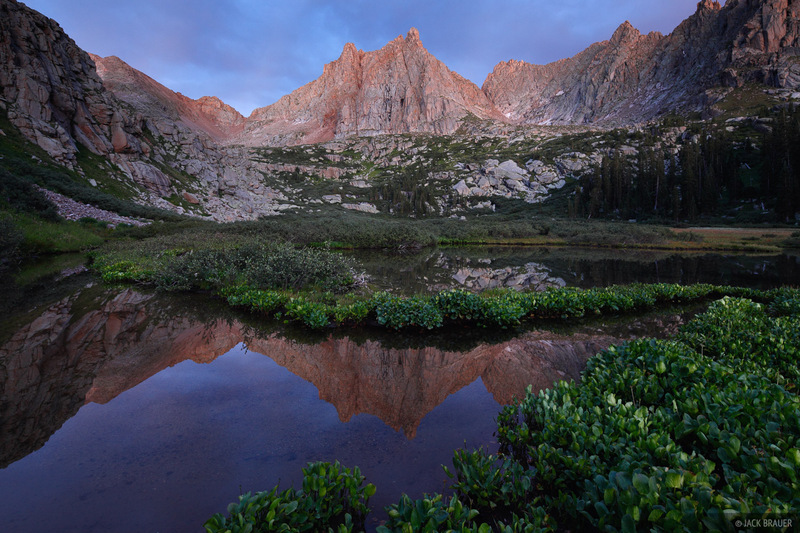 Jagged Mountain (13,824 ft.) reflects in a small pond at dusk. Dawn reflection at a remote lake high in the Needle Mountains. Mt. Eolus (14,039 ft.) is at left, Monitor Peak (13,695 ft.), Peak Thirteen (13,706 ft.), and Animas Mountain (13,786 ft.) are at right. North side of Mt. Eolus (14,039) reflection at sunrise. Hiking over a high pass in the Needle Mountains. 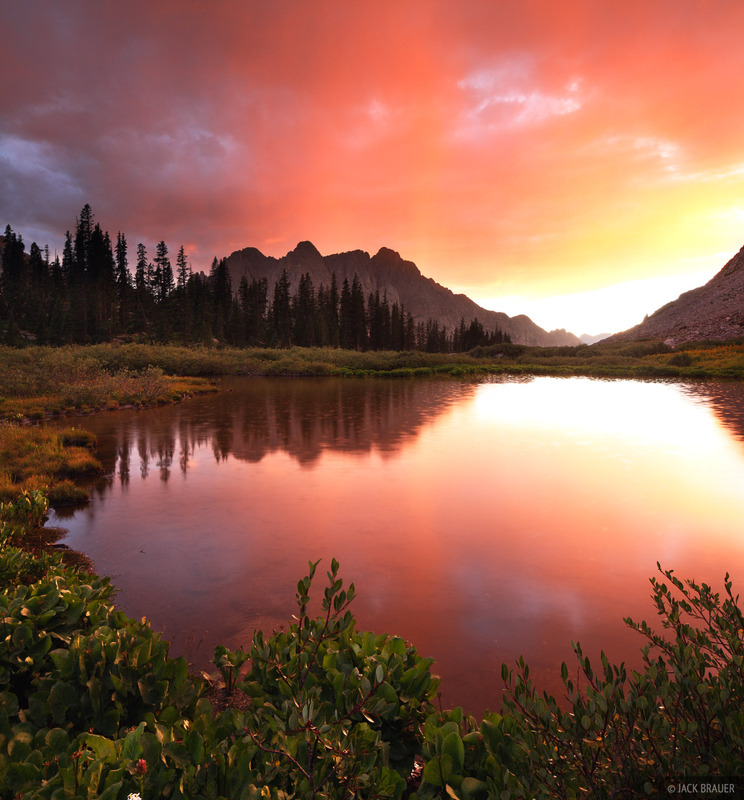 Magenta dawn light high in the Weminuche Wilderness. 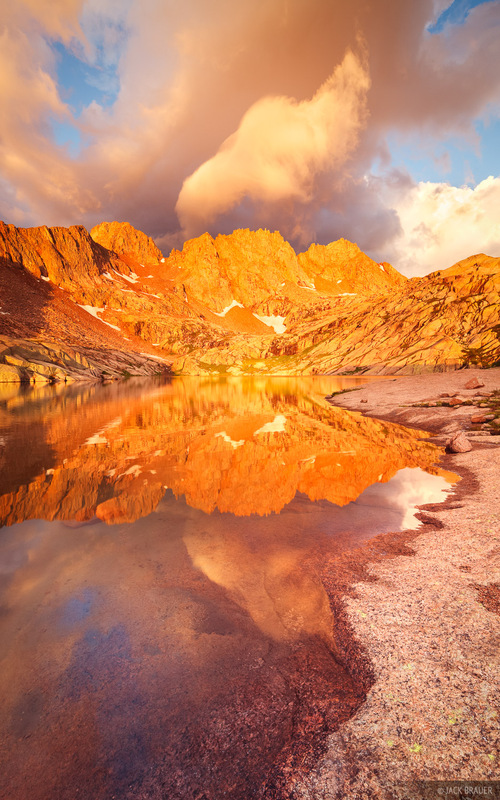 An incredible sunrise light show at a high lake in the Weminuche Wilderness. These surreal clouds formed out of a clear sky in a matter of minutes right during the brilliant sunrise light. The mountains here are Windom Peak (14,083 ft., left) and Sunlight Peak (14,059 ft., right). 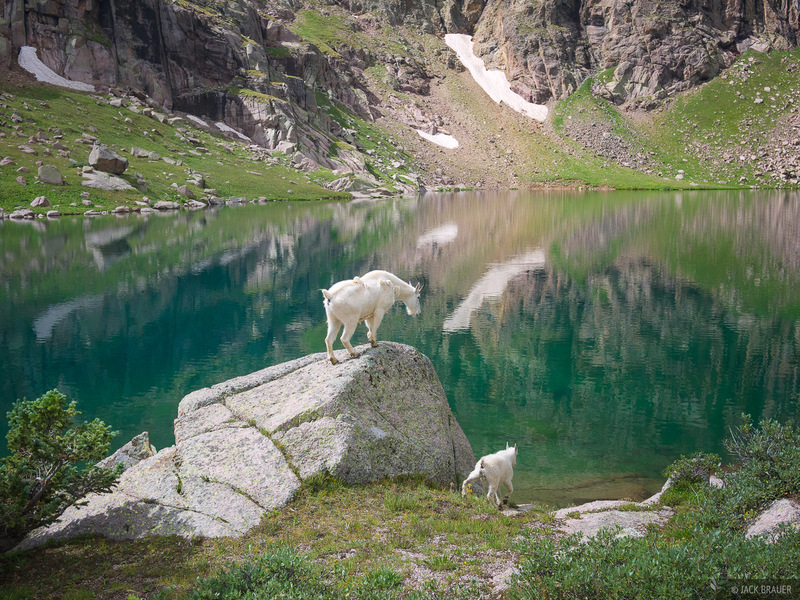 A mountain goat and her kid check the scene at Sunlight Lake. 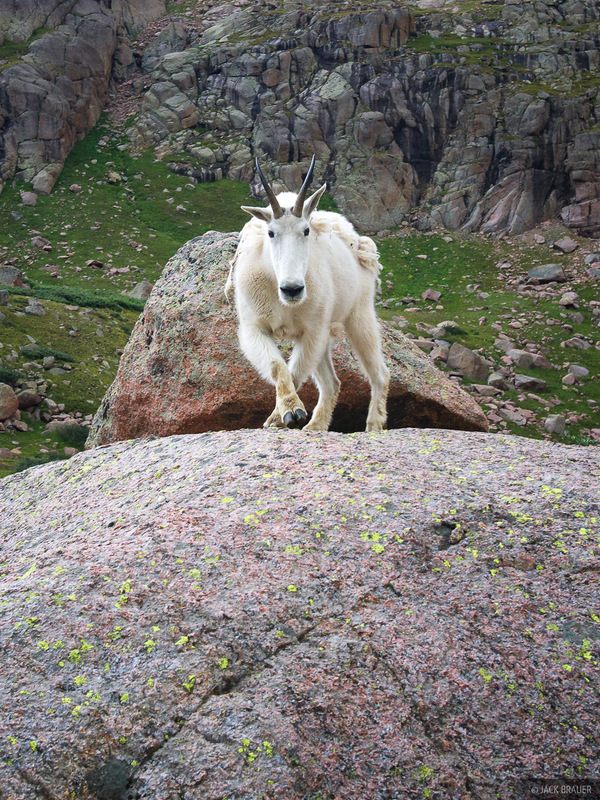 A mountain goat walks towards the camera, high in the Weminuche Wilderness. 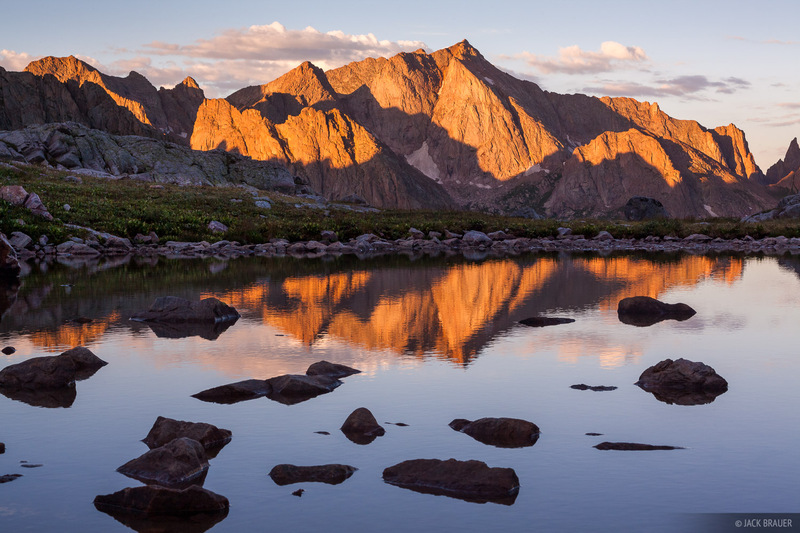 Jagged Mountain reflects in a small pond at sunrise in the Weminuche Wilderness. 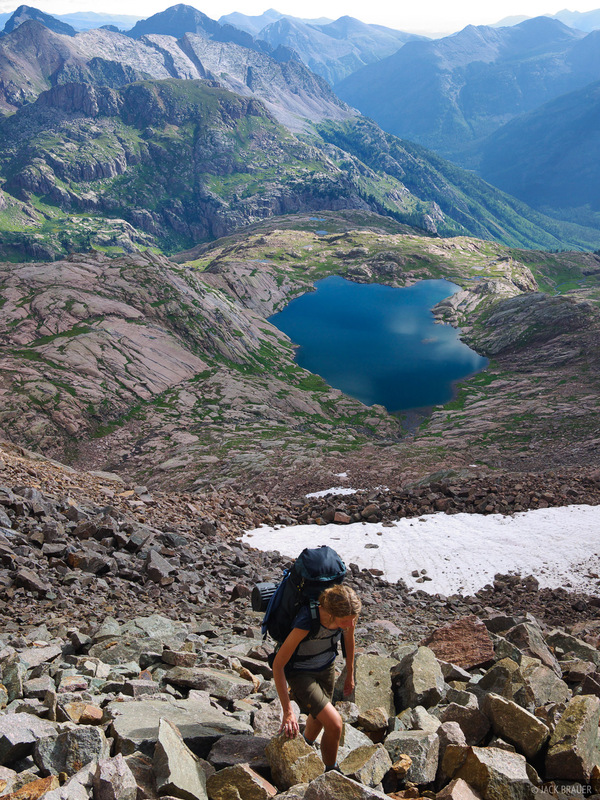 Claudia hikes up a 13,600 ft. pass high in the Weminuche Wilderness. A brief sunset seen from Chicago Basin. For those of you interested in knowing more details about the routes I’ve done in the Weminuche, in the spirit of exploration all I can say is get yourself some topo maps and have at it. These are wild mountains, fit for experienced backpackers who are comfortable navigating off trail by map and instincts in remote, complex, and rugged terrain. Those of you who fall into that category may agree that half the fun of these kinds of trips is the sense of exploration and discovery which is becoming ever rarer these days. 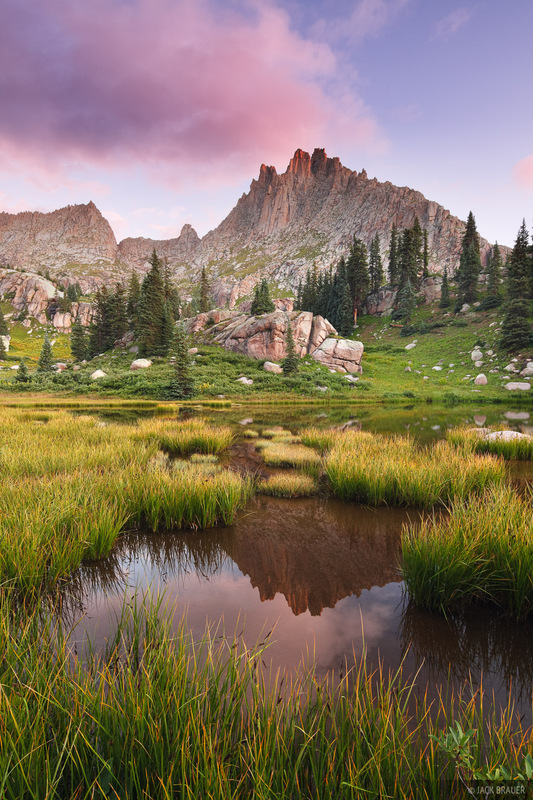 If you prefer fully detailed route descriptions and guidebooks, it would be more enjoyable to stick to the trails – and believe me the Weminuche Wilderness has plenty of amazing trail hikes to last many summers! 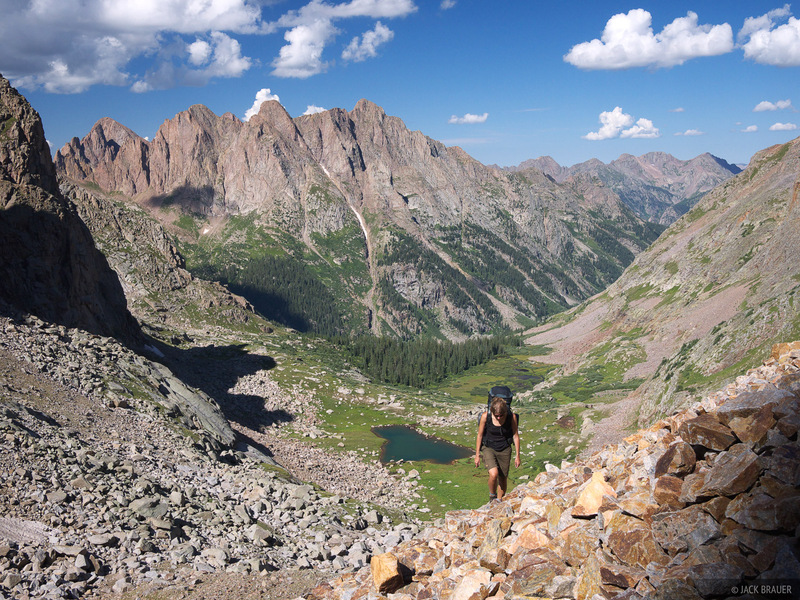 Posted in Backpacking & Trekking, Colorado and tagged San Juan Mountains, Weminuche, Colorado.